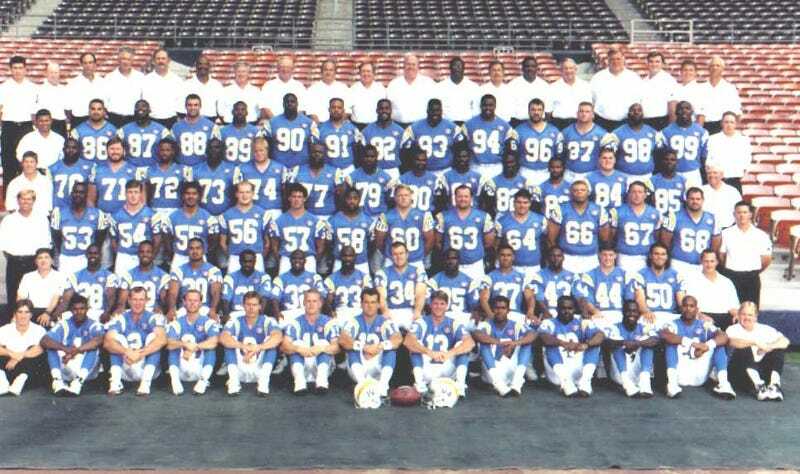 It is the plot of the least likely Final Destination sequel ever: members of the 1994 AFC Champion Chargers have been dying premature deaths. Even more premature than the average CTE-doomed football player: with Lew Bush's death last week, seven eight players from that Super Bowl team have passed away before the age of 45. • Five months after that Super Bowl, LB David Griggs drove his car off a freeway ramp and slammed into a sign pole. Subsequent tests would show that his blood alcohol level was twice the legal limit. • In 1996, RB Rodney Culver and his wife were aboard ValuJet FLight 592 from Miami to Atlanta when it crashed into the Everglades, killing all on board. • In 1998, LB Doug Miller was struck by lightning while camping in Colorado. CPR was being performed on Miller when he was struck again by a second bolt. • In 2008, C Curtis Whitley was found dead in his trailer in Texas. Whitley had a history of substance abuse and had twice been suspended by the NFL, and toxicology results pointed to an accidental overdose. • Also in 2008, DE Chris Mims was discovered facedown on the bathroom floor of his Los Angeles apartment. An autopsy revealed an enlarged heart, and Mims weighed 456 pounds at his death. • Earlier this year, DT Shawn Lee died from cardiac arrest brought on by years of complications with diabetes. • On Thursday, Bush suffered a heart attack at his home in San Diego. Since retiring in 2002, friends say he had struggled with his weight. A combination of freak accidents and typical post-football life demises. This is a statistical anomaly, not the spectral fingers of death personified plucking Bobby Ross's squad from this mortal plane. Still: football is a really, really dangerous game. Update (May 2, 2012): Junior Seau is dead, an apparent suicide.